We are often asked “How much does an e-learning course cost?”. It is not easy to answer the question. The most likely answer to this question would be, “it depends”. It is the most frustrating answer for clients. Yet, it is a fact that the cost of e-learning course development depends on many factors. On one hand, it depends on what the course is all about, who it is for, and how long it is going to be. On the other hand, it also has to take into account the expected outcome from the course and the time and effort that go into creating the course. All these factors influence its cost. So, when you are seeking a quotation for e-learning course development, be prepared to answer a few questions. Is it going to be a single stand-alone course of a fixed duration that needs to be taken in a single sitting? Will it be a series of short modules combined to be a lesson that users can take at their convenience? How will courses be hosted and what are the devices from which they will be accessed by learners? These factors help to choose the instructional strategy to be adopted for the course, the lesson planning, content and delivery formats. A course with responsive course design (such that it is accessible from multiple devices), courses that require the creation of scenarios, case studies, and simulations cost more. The next question will be about the content – where will raw content for the course come from? 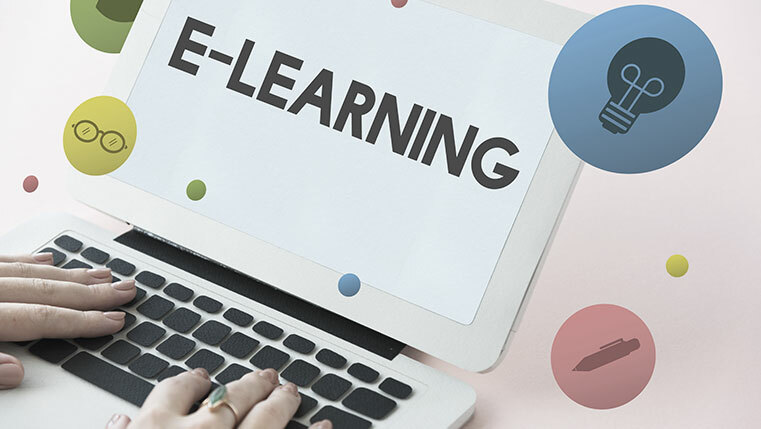 For example, if all you want to do is convert existing PPTs to e-learning with a tool that can be an add-on to PowerPoint interface, it is going to be much cheaper as against a course that needs to be created based on raw content provided by SMEs or training managers. Another important factor to be considered is the duration – how long will the course or modules be? The cost of the course varies based on all these factors. Cost will depend on the course format and duration. For example, a course with a simple linear structure might be less expensive than a course that has to be formatted into independent learning modules that can be re-purposed and grouped to form multiple courses. Designing a curriculum will require more resources and time – thereby increasing cost. When developing e-learning courses, another factor we need to consider is the expected performance outcome from the learners. It means we need to ascertain if the course is just to share some information or learners are expected to apply the knowledge in their job. The level of interactions in a course also depends on the expected performance outcome. Courses that require sharing just basic concepts, facts, or principles may be simple with little interactivities. Product training, process training, and safety training might require understanding that will need more interactivities. Software training and training that teaches problem-solving activities require high level of interactivities. The cost of the course depends on the level of interactivities in e-learning courses. The cost of the course, therefore, depends on the complexity of graphic, visual, and audio elements. The complex the course, more resources and time would be required, thereby pushing the costs higher. Therefore, the answer to the question, ‘how much does an e-learning course cost’ can never be straightforward. Next time, you hear the answer ‘it depends’ you know it depends on what factors.